This small silver miraculous medal is heart-shaped with a blue enamel center. 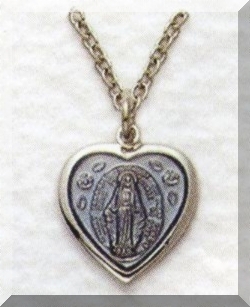 This beautiful medal features the image of Mary. This Catholic medal is a nice size for children, especially for First Communion.